Cobra Print Viewer (Popularity: ) : Re-print, copy, move and view actual images of your queued print jobs. Do much more with your queued print jobs than you can with the standard Windows print manager. BookPrintMe (Popularity: ) : This program prints booklets or books and saves paper by printing up to 16 pages on both sides of a sheet. The program prints also poster. BookPrint operates asa printer driver that may be used by any application. Prnt (Popularity: ) : Provides automatic printing from DOS applications to Windows-only printers. 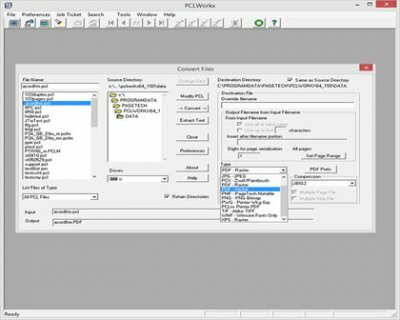 The DOS program is configured to print to a file instead of to a printer, and Prnt automatically prints the file after the DOS program generates it. HSLAB Print Logger WE (Popularity: ) : Lower your printing expenses by setting quotas for printing! KidInspector Parental Control Free (Popularity: ) : KidInspector is the universal way to keep your children's internet activity under control. It provides software for all major operating systems: Windows, Mac OS, iOS, Android. Which means you get all necessary parental control tools for both computers and smartphones.